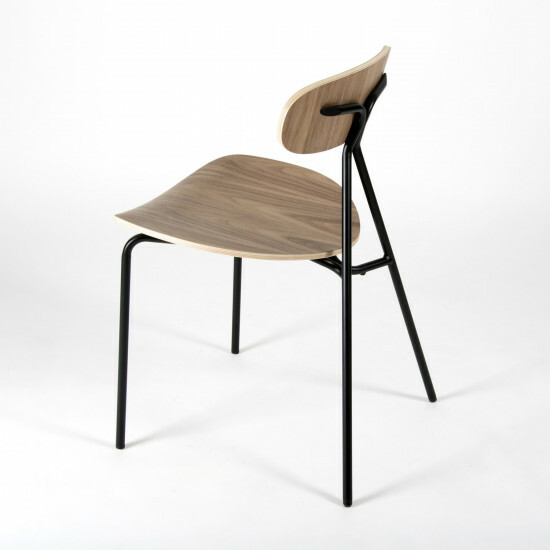 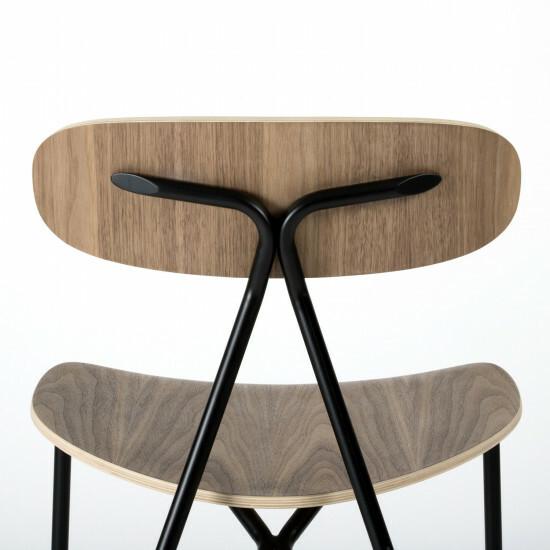 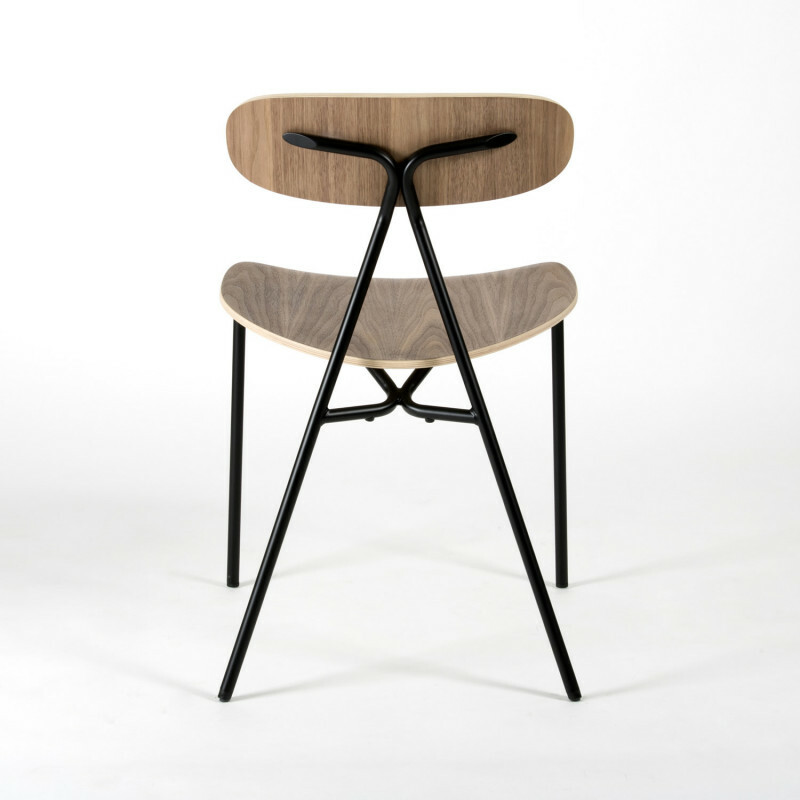 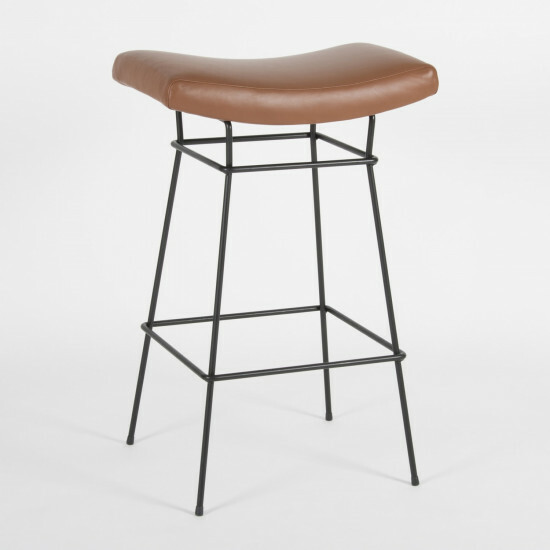 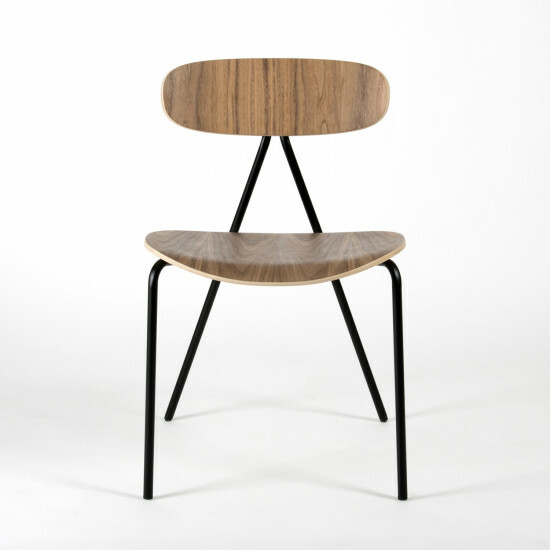 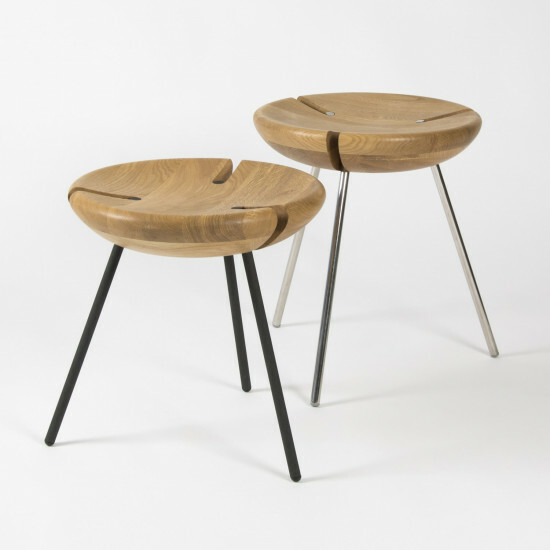 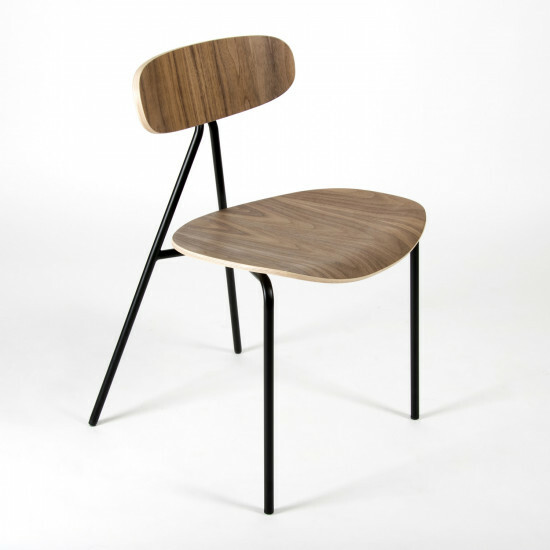 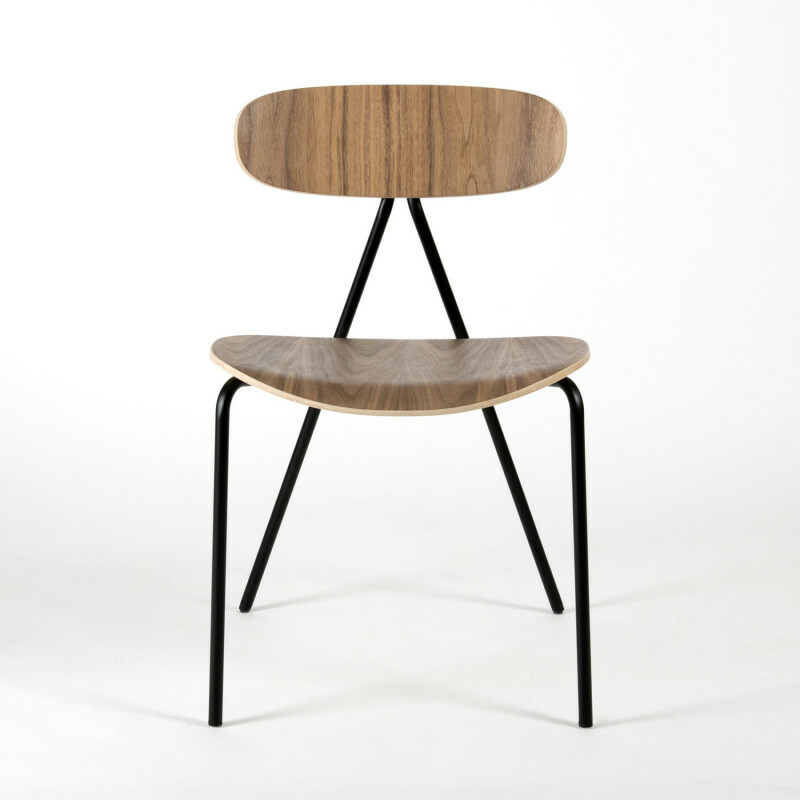 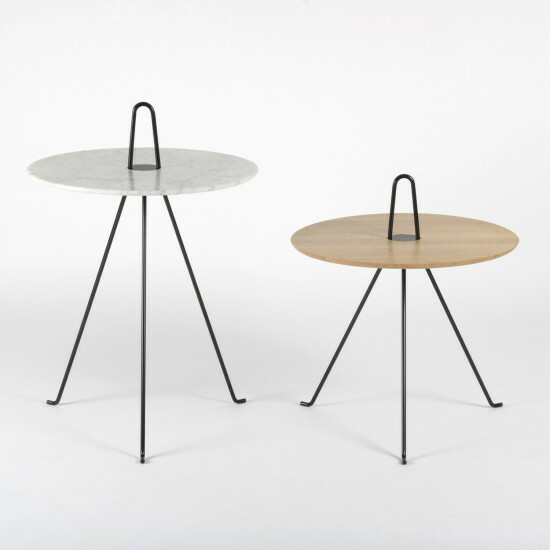 The fluid forms of the polished plywood parts are combined with a light steel structure to create a clean silhouette, with the backrest seemingly floating on the apex of a triangular frame with flared, cut-off. The chair is the outcome of a brief set by French brand Objekto to create a simple and beautiful chair that fits their values of visual purity combined with Magnus Long’s own interest in elegant engineering. Combining two simple and modern materials, Lagoa chair is an exercise in restraint whilst remaining expressive. 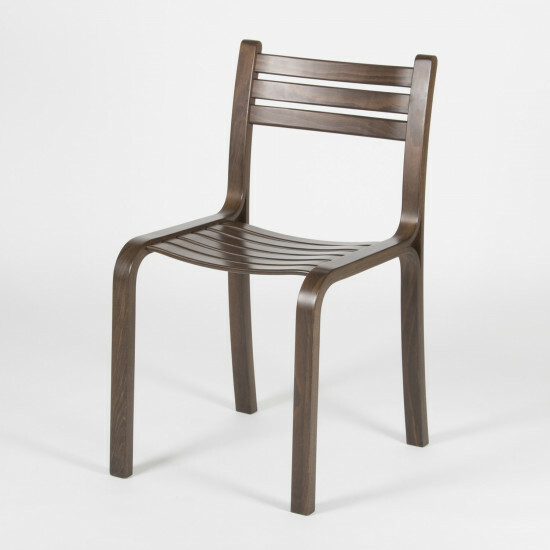 Available in walnut, stained and natural oak.